Over 2 million people in the US had chronic hepatitis C (HCV) infection during 2013- 2016, and HCV remains a leading cause of morbidity and mortality in the United States. Expanding HCV treatment in primary care would improve treatment access and follow-up but is resource intensive, requiring significant staff support. Using a budget impact analysis, a new study by CHERISH Pilot Grant recipient Karen Lasser in PLoS One shows how the 340B Drug Pricing Program generated enough revenue to fund primary-care-based HCV treatment at a safety-net hospital. The 340B Drug Pricing Program provides medications to participating organizations at significant discounts and allows them to bill insurers for the full market price (e.g., wholesale acquisition cost) in order to re-invest the revenue Recently, there has been intense policy debate about the role and suitable application of 340B regulations, and the outlook for the 340B program is uncertain. In order to assess revenues and costs to the hospital system, Dr. Lasser and colleagues conducted a retrospective chart review of 302 patients with chronic HCV referred to a primary-care-based multidisciplinary team. The team included a case manager who performed care facilitation activities, 7 general internists who treated HCV, a pharmacy technician and a pharmacist. The investigators estimated the proportion of time the team spent on HCV care. They then determined the cost and revenue associated with clinical visits, HCV medications dispensed through the hospital pharmacy benefiting from the 340B Drug Pricing Program, laboratory and diagnostic tests. The primary-care-based HCV treatment program cost $942,770 annually and generated annual revenue of $1.2 million, resulting in a net revenue of $930 per patient referred. Without the 340B program, however, the hospital would have experienced a net loss of $370 per patient referred. The authors conclude that efforts to sustain the 340B program could enable dissemination of similar HCV treatment models elsewhere. 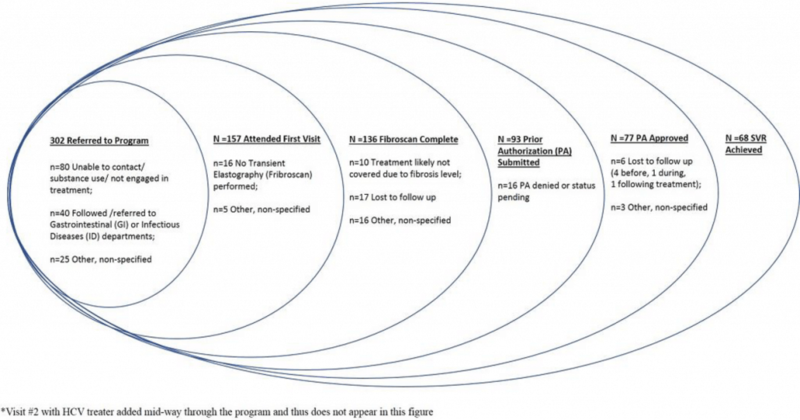 Conversely, if the 340B program were removed, patient adherence to treatment could decline, as the hospital might be unable to support the ancillary services provided by the case manager and pharmacist that facilitate adherence to treatment.